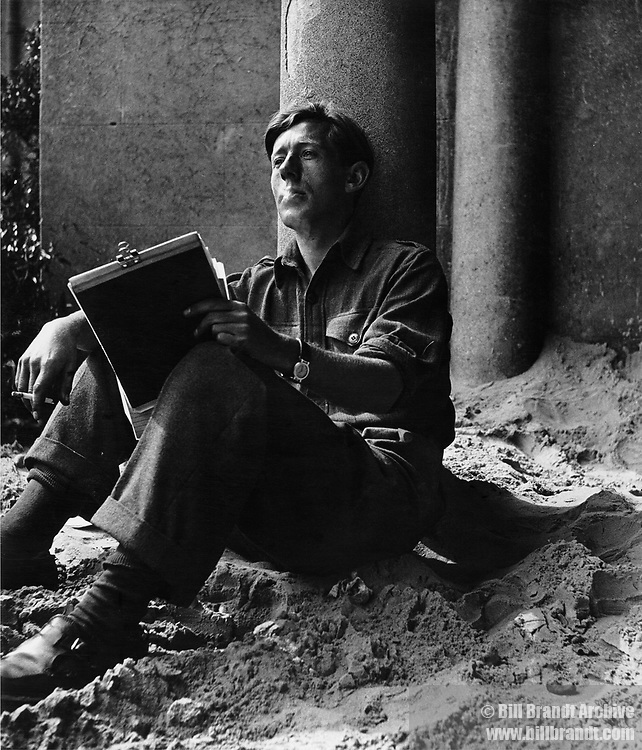 Laurie Lee, 1941 sits in sand with notebook. Laurence Edward Alan "Laurie" Lee, MBE (June 26, 1914 ? May 13, 1997) was an English poet, novelist, and screenwriter.